The capital city of Palawan, Puerto Princesa is a major tourist destination that hosts one of the country’s natural World Heritage Sites — the Subterranean River National Park. A 30-minute paddleboat ride takes visitors to the 8.2-kilometer underground river, inside an enchanting cave filled with bats and unique rock formations. Outdoor enthusiasts will enjoy the Monkey Trail, while others prefer the more leisurely Mangrove Paddle Boat Tour. Closer to the city proper, a day of island hopping around Honda Bay allows beach bums to savor the sea breeze while heading for the white sands of Pandan, Starfish, or Snake island. The whale shark, the world’s biggest fish, has been sighted in the bay occasionally. Remember to bring snorkeling gear for your close encounter with Nemo and other delightful creatures of the shallow coral reefs. On the west coast facing the South China Sea, residents of Ulugan Bay have developed eco-tour packages that include snorkeling, bird-watching in the mangrove river, trekking to the waterfalls, paraw sailing, and even diving at Rita island. Further south, adventurous travelers who don’t mind the bumpy rides can surf the waves in the beaches of Nagtabon, Tagkawayan, and Napsan. Scuba diving and dolphin watching in Puerto Bay may also be arranged. Or why not a firefly watching tour of the Iwahig River just after sunset? You can also buy handicrafts at the Iwahig penal colony, have a picnic at Balsahan river, and soothe aching muscles at the Sta. Lourdes Hot Springs. Animal lovers would enjoy the colorful insects at the Palawan Butterfly Garden and the endemic species at the Palawan Wildlife and Rescue Center, formerly known as the Crocodile Farm. 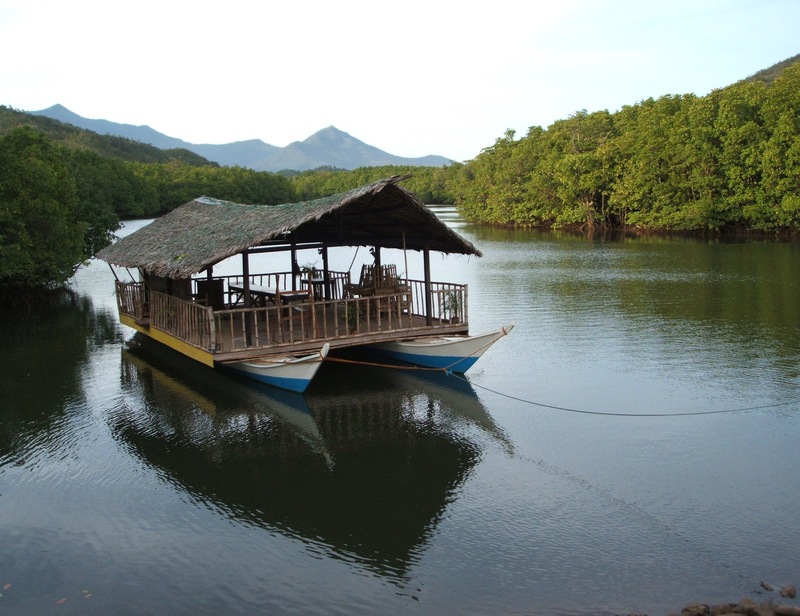 Any traveler will tell you that you haven’t been to Palawan if you haven’t dined at Kalui, a seafood restaurant decorated with ethnic chic and exotic souvenirs from the owner’s travels abroad. After dinner, have a drink at or two in popular watering holes like Kinabuch and Gypsy’s Lair. Puerto Princesa commemorates the city’s Foundation Day on March 4 with a historical parade and street dancing. In the summer, artists flock to the city for the Kamarikutan Pagdiwata Arts festival. The city also celebrates the tree-planting festival Pista Y ang Kagueban (Feast of the Forests) on the 3rd week of June. On the first day of December, the city government ushers in the holiday season with the much-awaited lighting of the giant Christmas tree. The festival calendar ends with the fiesta honoring the city’s patron saint on Dec. 8, the Feast of the Immaculate Conception of Mary, which features performances from local artists and various groups.